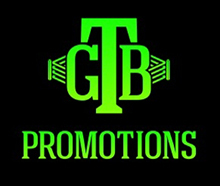 CHICAGO (June 14, 2016) - Undefeated rising star Erickson "Hammer" Lubin is set for his primetime debut on Premier Boxing Champions on NBC Saturday, June 18 as he faces Mexico's Daniel Sandoval at the UIC Pavilion in Chicago. PBC on NBC is headlined by Polish star Andrzej Fonfara against hard-hitting New Yorker Joe Smith Jr. Televised coverage begins at 8:30 p.m. ET/5:30 p.m. PT and features the bantamweight world title rematch between Juan Carlos Payano and Rau'Shee Warren. "My family didn't really want me boxing at a young age. They wanted me to be into other sports. But I loved it so eventually they had no choice. They're very supportive now and my dad tries to make it to every fight. "My family is filled with athletes. I have four sisters and two brothers. One of my sisters is a professional dancer and my older brother played football at a high level. Another older brother boxed and got me into the sport when I was about six." "I think I would have kept pursuing my basketball career if I hadn't gotten into boxing. I played small forward in high school. My game was kind of like James Harden. I liked to score and I was tough to stop. "I've always been really into music. My brother is a music producer so sometimes I'll get on the mic and spit something. It's just for fun but I like doing it." "I usually don't get too motivated by specific opponents. I just want to take them out. On fight night, I'm going to be there ready to go. "I try to emulate the mentality of Kobe Bryant. He's a killer. He has the strongest mentality in sports. I just want to take my opponent out. "Other fighters definitely motivate me. I idolized Muhammad Ali and he's always meant a lot to me. I looked up to fighters like Floyd Mayweather, Mike Tyson and Meldrick Taylor. There are a lot of guys out there now motivating me. Daniel Jacobs is a fighter that I look up to and Errol Spence is a guy that can really fight. Seeing guys perform on a high level makes me want to get to that level as well." Favorite Music: "Rap and Hip-hop. I listen to a lot of Drake." Favorite Television Show: "PBC, because it's on all the networks." Favorite Healthy Food: "Grilled chicken and fish. I love tilapia. I go to Whole Foods during camp to maintain my diet." Favorite Junk Food: "I like every kind of seafood. Lobster, shrimp, scallops, oysters and clams, I love it all. It's nice to live in Florida." Celebrity Crush: "Angelina Jolie. She's beautiful and a great character. I loved the Tomb Raider movies."